*1: May vary by SKU and country.Some storage capacity has been set aside for the operating system and pre-installed apps. Actual usable storage space may differ from advertised storage. *4: Battery life will vary according to use. Battery life measured by looping 720P video, brightness at 100nits, external microphone, WLAN/3G on and Gmail logged in for email and updates. 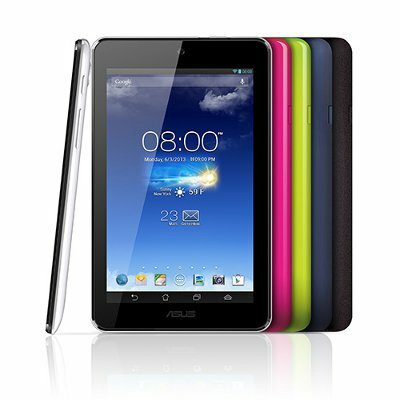 I am having a problem with my Asus memo pad 7. It keeps locking up and I have to reboot it to get it to unlock. This has happened when I was playing candy crush, a Mahjong game, using HBO GO to play a movie, when I downloaded the manual and tried to read it. I just got this tablet a few days ago and this is very frustrating. can you help me with this? Thanks so much for this manual. The mainboard of my Asus MeMo Pad HD7 (ASUS MeMO Pad HD 7 -ME173X- 16GB) is not working anymore. I found another one to replace, but it is the only 8Gb kind. Can I use the 8 GB mainboard to replace the 16 GB mainboard ? HOW DO I RECOVER PHOTOS THAT HAVE BEEN PUT IN THE BIN ?